This was a fun day! When we went to Maui for our 30th anniversary, my favorite activity was an outrigger canoe trip. 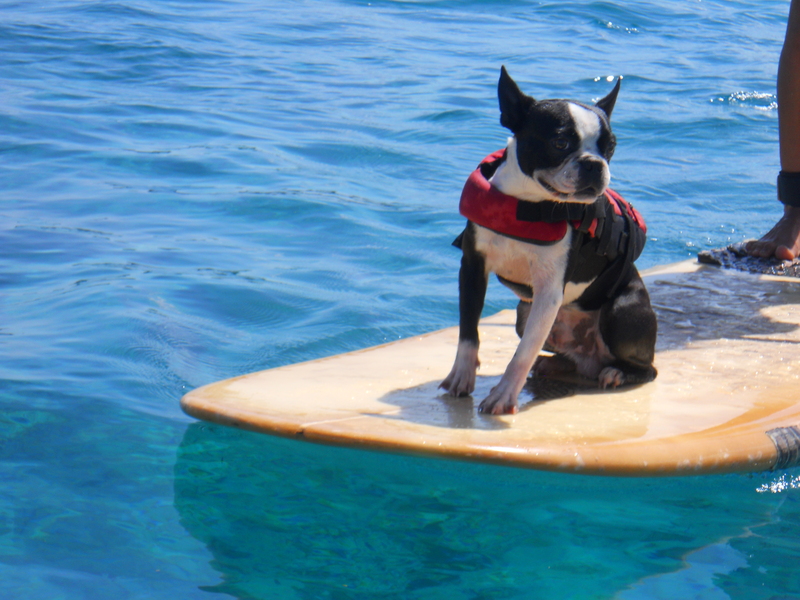 It was a leisurely paddle around the bay…we saw sea turtles, my husband dived in and swam around with them…and this cute little surfing dog and his owner came up to us on their board. An amazingly fun day, fun trip, fun moment – and treasured memory. Previous Post The Ravellenic Games! Pingback: Fun (Boating) | What's (in) the picture?